Chemical Peel LASERS and Dermabrasion - Luis A. Cenedese, M.D., F.A.C.S. Various chemicals mostly acids are used to “peel” the skin of the face, neck and chest (decollette). Glycolic peels are light producing improvement in skin color and texture. With minimal downtime (redness) this peel should be repeated every four to six weeks. Jessner’s peel is a combination of Salicylic and Citric acids. The light moderate peel improves active and resolving acne as well as fine lines. With a short downtime Jessner’s peel can be repeated whenever a light/moderate freshening is desired or acne acts up. TCA or Trichloroacetic acid is a moderate strength peel. The effectiveness (improvement in fine lines and pigmentation) and subsequent redness is determined by how vigorously the solution is applied. Cross TCA peeling has become a good option for spot treatment of acne scars and freckles/pigmentation. Phenol is an alcohol, the strongest peel in use. When combined with TCA or Croton oil to effectively lighten and tighten skin it is the strongest skin lightener and collagen stimulator. Local peels (Cross) may be repeated to greatly improve acne scars. Full face peels are reserved for fair skin types looking for the ultimate in wrinkle reduction and skin lightening. LASER treatments have become one of the most popular options for treating fine lines, dark spots and fine scars. Our patients have been very pleased with the improvement in the redness and swelling of stubborn acne treated with the YAG LASER. One session with minimal redness reduces the redness and clears acne that often persists for weeks. IPL (Intense pulsed light) treatments lighten discolorations, small capillaries and flatten fresh scars. Minimal redness and no downtime make multiple sessions well tolerated and highly sought after. CO2 LASER treatments have resulted in some of best wrinkle reduction and skin smoothing. Fair skin patients with many wrinkles are the best candidates. One session with 7-10 days of significant redness produce excellent results. The Fraxel LASERS have been disappointing; multiple sessions associated with redness discomfort are required to obtain modest improvement. Traditional dermabrasion rarely performed due to the ease of use of LASERS and manufacturers marketing of these devises remains the gold standard for improvement in acne and traumatic scars as well as upper lip vertical lines. 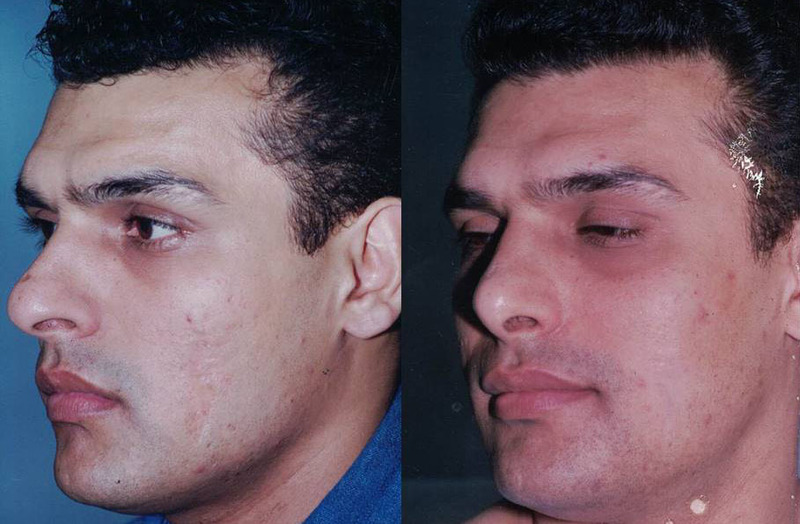 Since the skin is mechanically shaved and not burned redness and post procedure pigmentation are diminished yet improvement is unparalleled by any other technique. Not to be confused with micro-dermabrasion which uses crystals to exfoliate the epidermis a diamond impregnated head removes scar and skin down to the mid dermis. Results are visible immediately. Redness and swelling subside in 5-10 days.